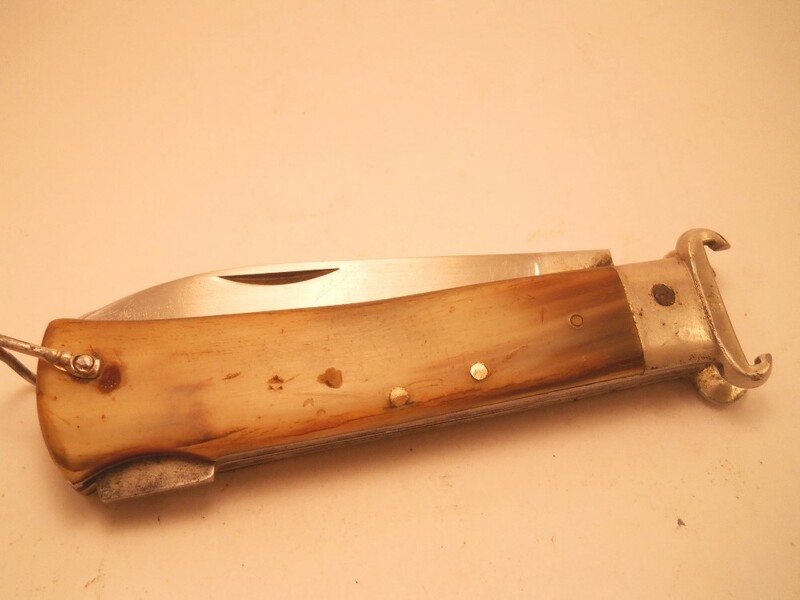 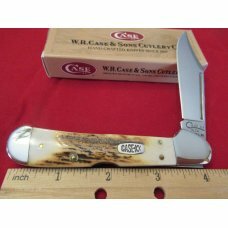 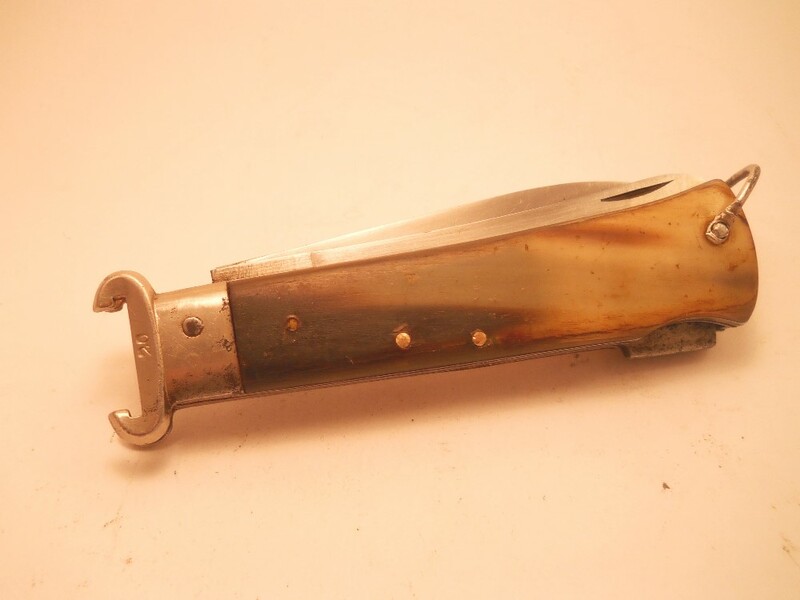 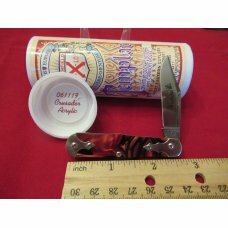 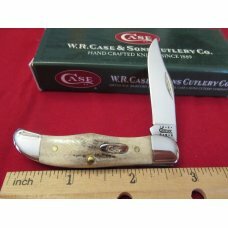 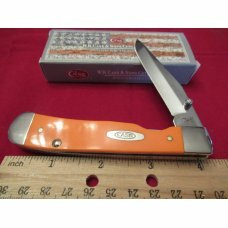 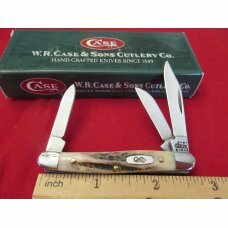 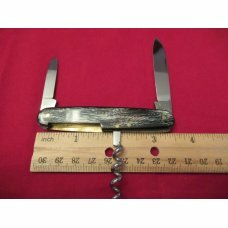 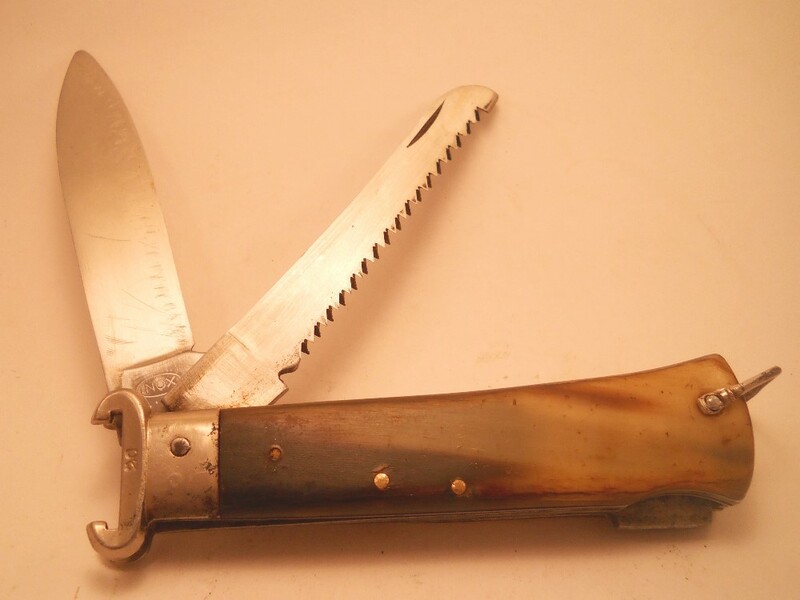 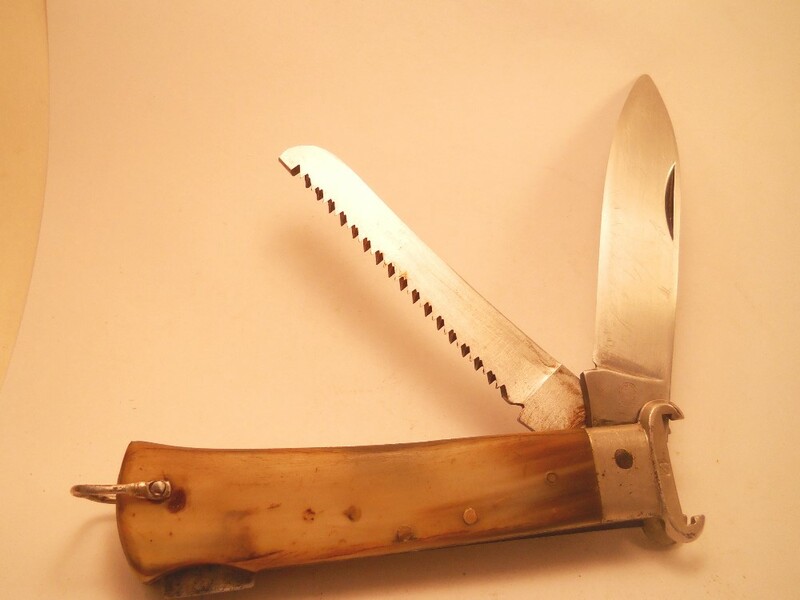 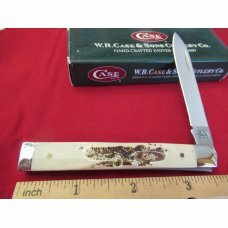 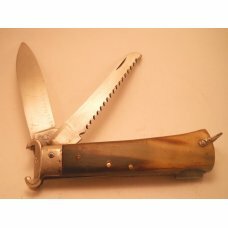 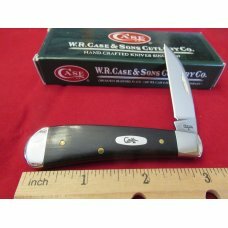 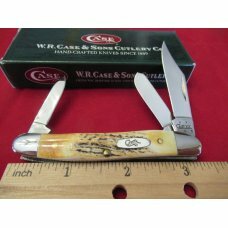 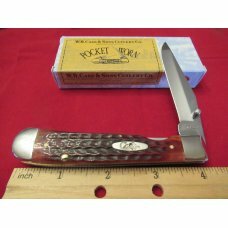 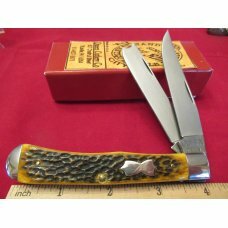 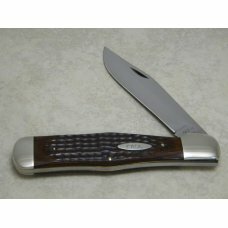 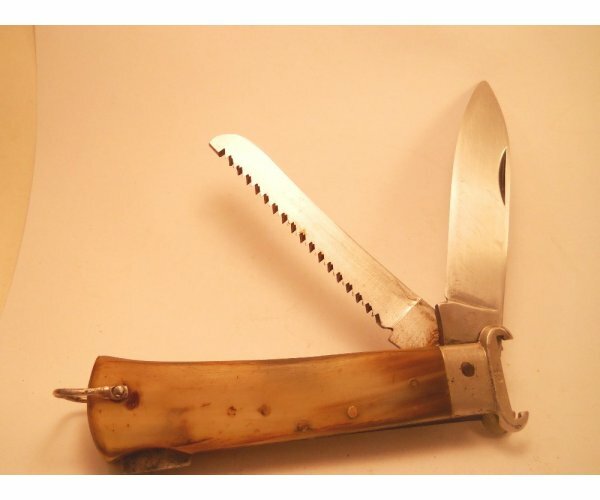 About 4 1/2" sporting knife that is stamped Maniago / Italy on the front and Inox on the back. 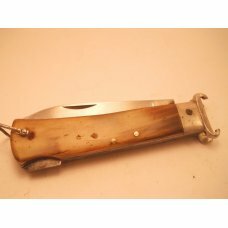 Has 12 / 20 gauge shell pullers and a bone saw. 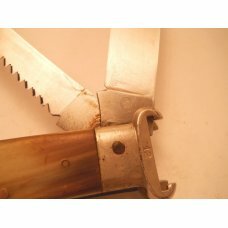 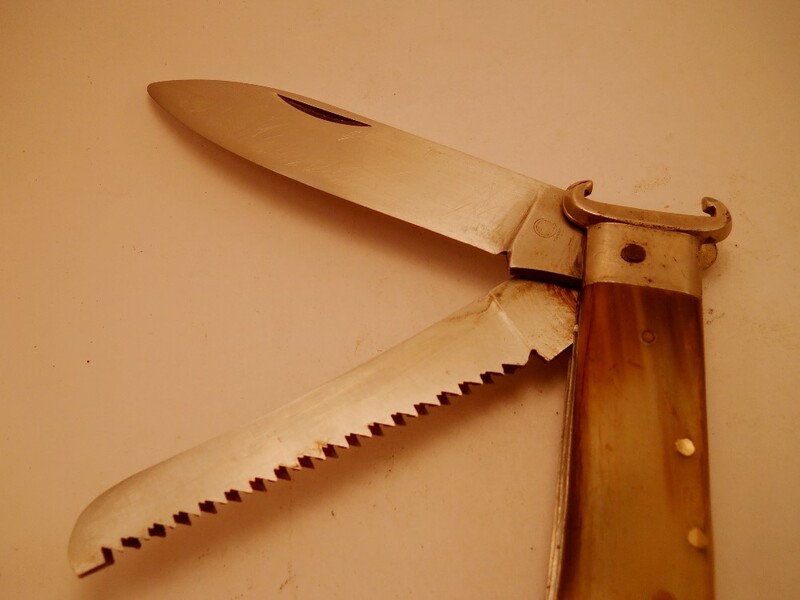 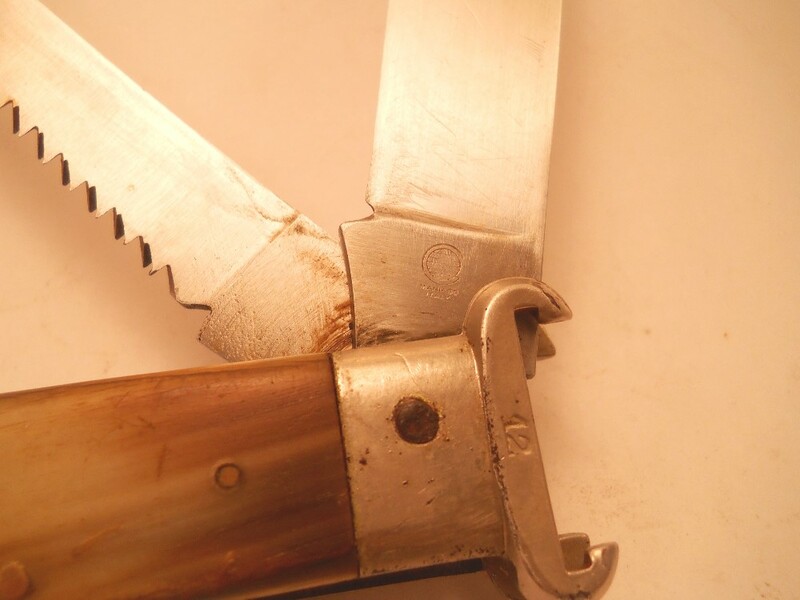 Blade has been sharpened but locks tight with very little wobble. 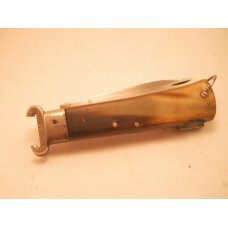 Horn handles that have some age and flaws. 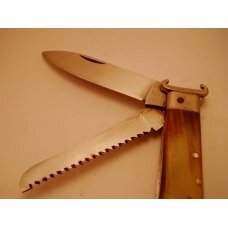 Heavy built knife.